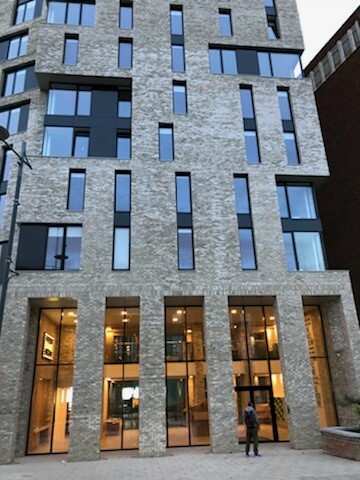 Pablo Fanque House has been Shortlisted for the 2019 National Housing Design Awards! The National Housing Design Awards is the biggest accolade in the UK’s Housing Design sector. Which is why we are very excited to share this great news about Pablo Fanque House! 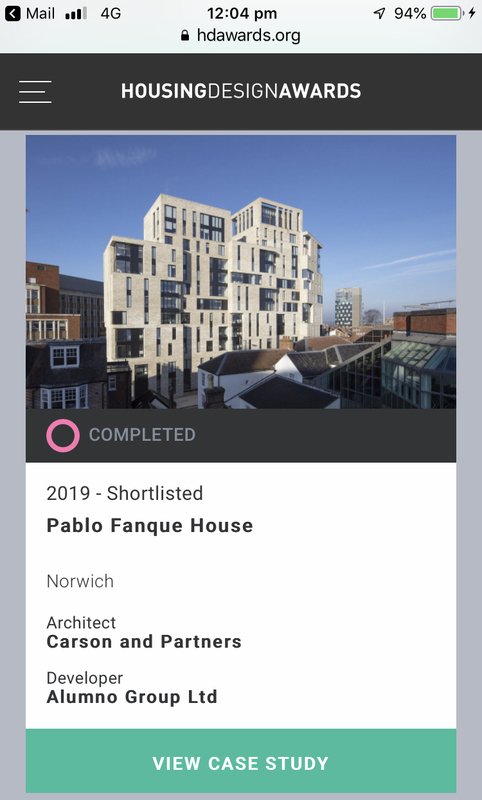 Pablo Fanque House has been shortlisted for the 2019 National Housing Design Awards! To be the only Student Housing scheme in this year’s awards is an amazing achievement. This is a massive achievement, with an amazing team behind it. 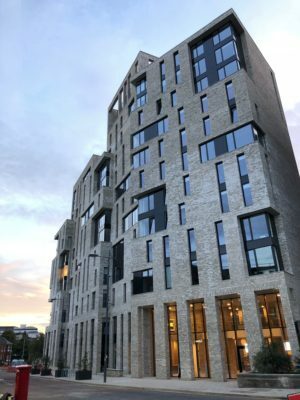 The team included HG Construct, Carson & Partners, Conisbee, Lexington Communications, Brown & Co, Matthew Jarratt, Ira Lightman, Circus 250 and The University of East Anglia. Congratulations and well done everyone! !